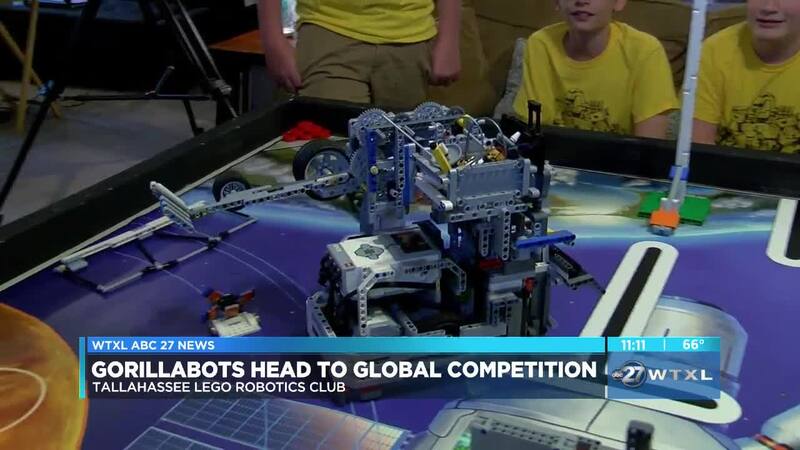 TALLAHASSEE, Fla. — Representing Florida's Capital City in an international robotics competition for the first time ever that's what the Tallahassee Lego Robotics club is doing this month. This group of middle schoolers calls themselves the Gorillabots. They've spent the past eight months building and programming this robot. They have two and a half minutes to work together, complete tasks and earn points. But that's just a small part of the competition. They also chose a real world problem and build a solution. The Gorillabots built a washing machine for astronauts to use in space. "We modified it so it would work in space and we put some air jets in it to push the clothes as they spin," said The Gorillabots. "Currently they just have a lot of clothes already stored on the spacecraft and they also have clothes sent up to them." The Gorillabots say this an exiting catalyst into the science and technology world. It also teaches them teamwork and participating in friendly competition. The Tallahassee lego robotics club is headed to Houston, Texas for the global competition on April 17.